This G.Skill mechanical gaming keyboard can get you started on the road to more comfortable typing at almost half of what it normally costs. Mechanical keyboards are the gold standard for anyone who spends their day typing. But their price tag can seem daunting, with full-size models that include the 10-key pad costing anywhere from $100 to $120. For some people, it’s easier to just buy a sub-$40 ergonomic keyboard and move on. 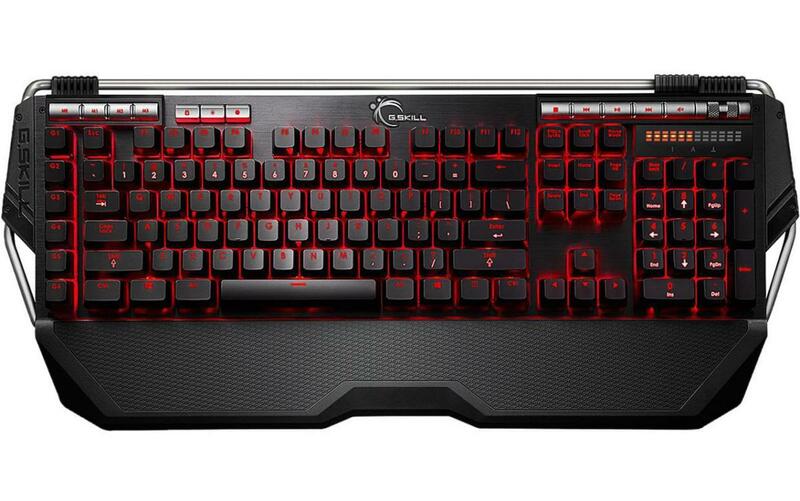 But this deal makes it much easier to finally dive in: Until Thursday, Newegg is selling the G.Skill Ripjaws KM780R MX mechanical gaming keyboard for $70. The KM780R unit usually sells for about $100 on other sites and $120 on Newegg. That means you’re saving $50 off the Newegg price, but about $30 if you were to shop around. This particular keyboard sports Cherry MX Blue switches, which are ideal for daily typing. (If you want to know how the Blues stack up to other options, we have several articles that discuss the merits of the various mechanical keyboard switches.) In a nutshell, the blue switches are actuated after pressing them about halfway down, which allows for faster typing with less effort. Blue switches also have a pleasant clickity-clack sound reminiscent of typewriters. Since this particular keyboard is of the gaming variety, it comes with features such as on-the-fly macro recording, 6 macro keys, a media control panel, stereo audio pass-through ports, anti-ghosting, and per-key backlighting. For those who don’t need or can’t stand backlighting there’s a toggle switch offering three levels of brightness, as well as the ability to turn the backlighting off. We haven’t reviewed this particular unit, but typically, what makes or breaks a keyboard experience are its switches—and we know and like Cherry’s offerings. Given that this particular model is well-regarded on Newegg and Amazon, you should find the overall unit solid for everyday use, and today’s deal a great time to grab one.